When you're working performance running and need a shoe that gives as much as it gets, then you need the Spira Performance Footwear. 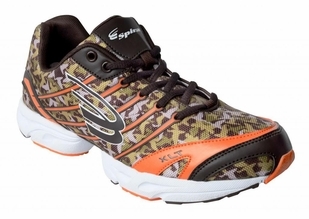 Spira is one of the leading names in performance and recreational running shoes. It's patented Wavespring Technology works on deflection of energy, so the effort you provide comes back to you. High Quality - Spira running shoes are designed to take the normal wear and tear of recreational and performance running in stride. 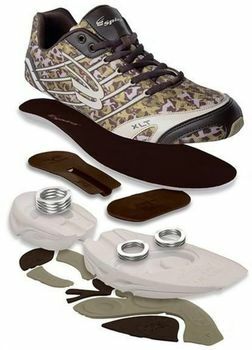 They'll last far longer than other running shoes and provide you with a workout that is unparalleled. While we can't guarantee you'll break your previous record, it'll definitely give you an edge over the competition. WaveSpring Technology - What makes Spira better than all the rest? The patented WaveSpring technology uses a mechanical cushioning system to get the most out of your run or workout. It doesn't matter if you're a professional performance runner or just run at the gym or at the park, you'll get a superior workout. 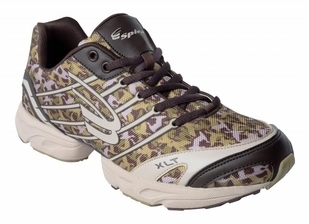 Comfort - Spira running shoes aren't just amazing for getting the most out of your run. They also provide superior comfort. 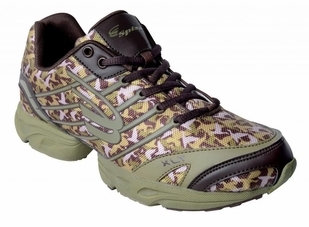 Spira understands that your feet need support when running and they've designed their shoes to provide maximum comfort. The mechanical cushioning system works to distribute energy back to you, so it lessens the impact on your joints and muscles. For more great bodybuilding and exercising products, check out our selection of Otomix, Zubaz and World Gym apparel.